Dimensions: total height 82cm, seat height 47cm, width 42cm, depth 49cm, weight 6kg. Material: frame in natural beech or smoke wood. Technopolymer shell in linen, dove grey and anthracite color. Smilla Technopolymer is an evolution of the famous wooden model (visible below in related products). This version is dressed, with a special technopolymer seat that allows it to be light and at the same time very resistant, remaining soft to the touch and refined in appearance. A subtle hint of nordic rigor in the lines, gives life to a splendid chair, iconic and of unquestionable refinement. 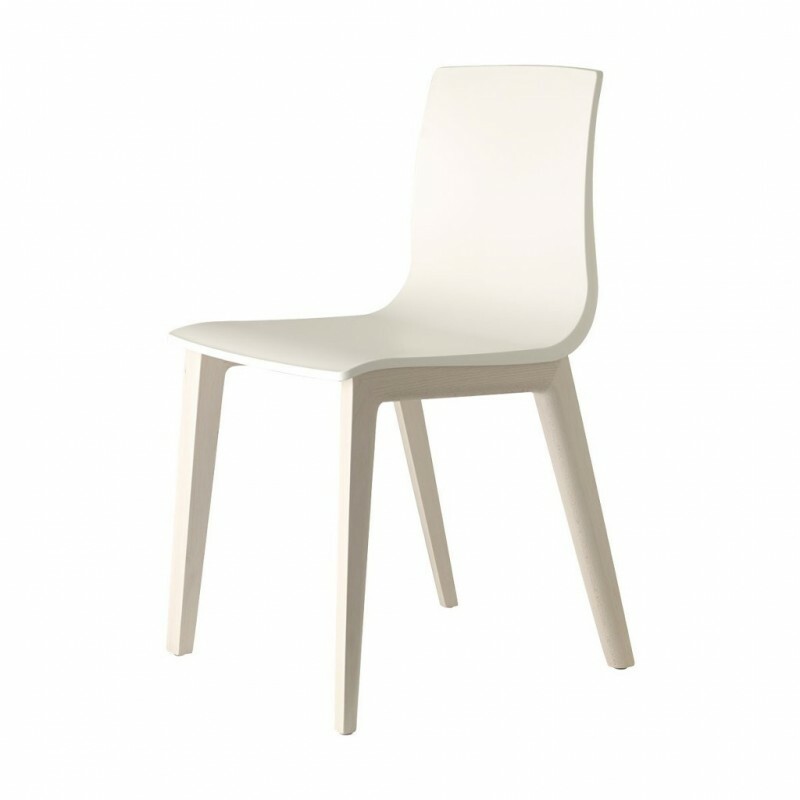 Built with solid beech wood frame, Smilla Technopolymer is the perfect solution both in the domestic and contract field. If you want to see the other Natural chairs, look below in the related products. All the SCAB production is made with 100% recyclable materials.